It’s only been a few months since Pantone announced the color of the year for 2018 to be purple. Now, there are all types of gorgeous fashion trends based on the color for both men and women. Purple is one of the colors which are not popular in men’s fashion. Despite that, it is a proven fact that men tend to look more attractive when wearing purple as it has an excellent way of making one look fresh and livelier. However, this does not mean that as a man, you can get away with wearing just about anything that looks purple. 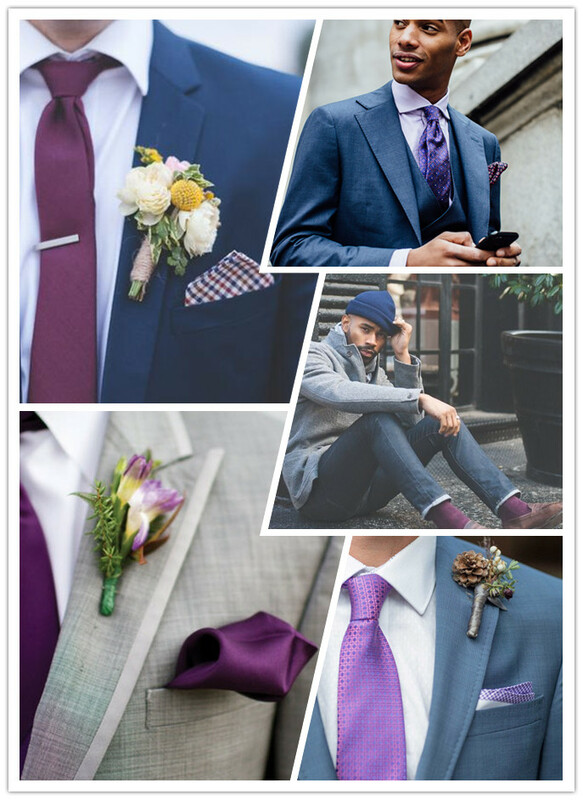 Below are a few tips on how to wear purple for men in 2018. If you are new to a color in men wholesale clothing, it is normally advisable to start off with something small such as a pair of purple socks which would pair well with brogues and dark denim. You can also try a pocket square with a purple pattern which would make your grey or navy suit jacket look livelier. Purple ties are also great during the summer and you can pair one with a lilac shirt and a khaki suit. Moving On to Advanced Purple Wear. Once you have mastered the basics, it is time to move on to the next stage. Purple-colored knitwear is great for some advanced men clothing and looks very appealing when paired with green chinos or some camel and with a light blue shirt or solid white shirt inside. You can also try out some plum chinos and maybe even mix it up a bit with a green jacket or a grey t-shirt. Finally, once you’ve had enough experience with different types of small to medium purple wear, you should now proceed to learn and master the art of the purple shirt. Men who have darker skin tones should try to wear lighter shades of the purple shirt such as lilac. Those who have lighter skin tones will look more appealing when wearing a darker and richer purple shirt. You should also try out some shirts that are in subtle florals and autumnal plaids or solid work shirts that are dressier paired with black, grey, navy, and green. You can even try out some purple shoes or a complete purple suit if you feel confident enough. While there are other different types of men clothing that come in purple, always remember to keep it simple and mind the occasion or place with which you intend to wear them. A brightly colored purple suit will look great in a party or celebration of some sort but may not work as well during an interview. Most important of all, you should always pick something that makes you feel comfortable and confident.